The trailer of Bank Chor has released and we can’t wait for the movie to release! Bank Chor is a comic-caper, that tells the story of 3 idiots trying to rob a bank who pick the worst day possible when everything that can go wrong, goes wrong and how they’re inadvertently caught in the crossfire. The trailer of the film, which stars Riteish Deshmukh, is out and reminds us of classic comedies and the Tom and Jerry chase sequences, taking us totally on a laughter ride. Well, you can trust Riteish Deshmukh when it comes to comedy. 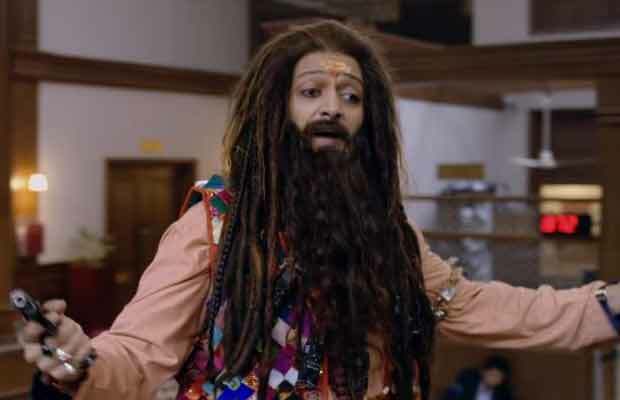 Riteish Deshmukh, like most of his roles, plays a maharashrian character Champak which is a blend of Charlie Chaplin and Asrani, who have aced comedy in their own way. Champak is a thief who believes in vaastu shastra and offers prayers to his weapons before he goes out to rob. By the way, he cannot shoot. When he plans robbery of the lifetime, it takes a U-turn and puts him in a difficult situation. While he always has been able to sneak out with money, this time he is stuck with Amjad Khan, not Sholay’s Gabbar but a cop portrayed by Vivek Oberoi. The dialogues are quirky and bang on entertaining. You will hear mentions of Vicky Donor, Aamir Khan, Deepak Tijori and Arvind Kejriwal too. Baba Saigal can also be seen in a cameo role so we can expect some rap too. Directed by debutant director Bumpy under the production of Aditya Chopra, Ashish Patel, Rajat Kanti Sarkar and Aashish Singh, the film is slated for a worldwide release on June 16, 2017. Y-Films’ Bank Chor is a much-delayed project, which was scheduled for an early 2015 release but is finally coming to theatres on 2017. Previous articleWill Salman Khan Launch Katrina Kaif’s Sister Isabelle Opposite Brother-In-Law Aayush Sharma? Next articleIs Kangana Ranaut The Reason Behind Apurva Asrani Sacked As Simran Editor?